Alex Cabal is an artist and illustrator based in Los Angeles. Her work, mostly portraits, is primarily of women with beautifully colorful backgrounds and sometimes florals. 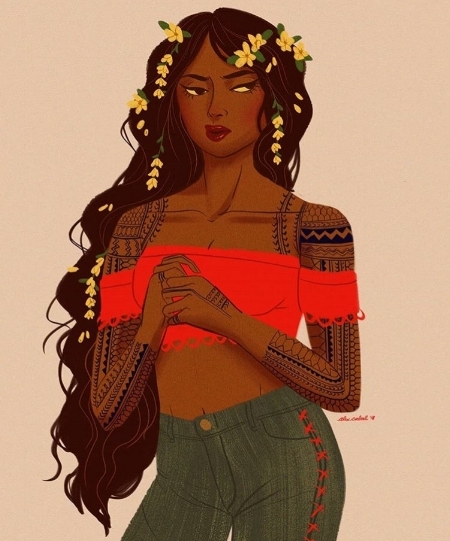 She began drawing brown girls, powerful and confident, to uplift herself and then others saw themselves represented in her work, too. Alex has worked with clients like Entertainment Weekly, Broadly, and Disney Publishing Worldwide, and you can catch her at Designer Con in November! When did you begin working on art? Did you always want to be an artist? For as long as I could remember, I wanted to be an artist because I grew up watching a lot of cartoons and anime. I was always drawing as a kid, but my first formal education in art was in college. My first job after school was being a graphic designer and sketch artist in the advertising industry. Now I am a freelance illustrator. What are some of your favorite illustrations that you have created? It’s hard to say which is my favorite because I feel like I always learn something new with each drawing. But something that I draw consistently are portraits and flowers. I’m a little obsessed with that at the moment. What inspires you and influences your art? I am inspired by the strong women I surround myself with, video games and comics, going outside once in awhile to experience life, and food. Pangalay, traditional finger nail dance. How has your art been representative of you and your community? To be honest, I felt very lost when it came to my identity as a Filipino American. 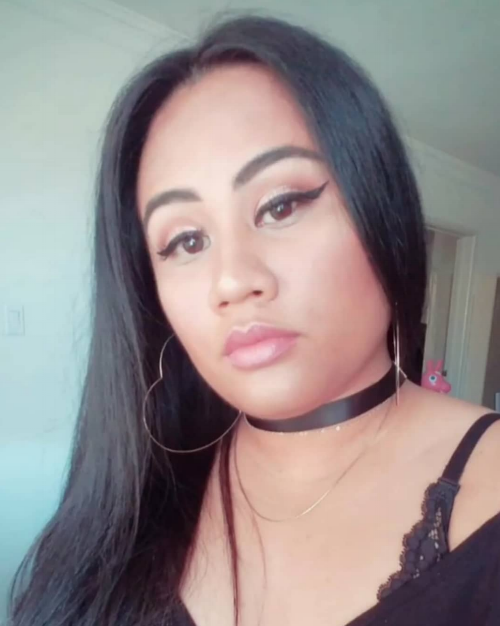 Even though I grew up in the US, I’ve experienced discrimination because of the way I looked (even though I only know English) and at the same time I was not in touch with my Filipino heritage (especially because I don’t know Tagalog). However, when I first discovered Whang-od, and the Kalinga tribe, for some reason I felt some kind of connection to it and things started to click. I started drawing women with street fashion I see on a day to day basis, but also incorporated Kalinga tattoos. This mix of influences felt representative of me, and for the first time I was able to blend in two things I felt I didn’t belong to into two things I am a part of. This opened the door for me to learn and discover more about other Filipino tribes, cultures, and traditions, and I aim to incorporate those things with my own personal experience and translate them into my art. 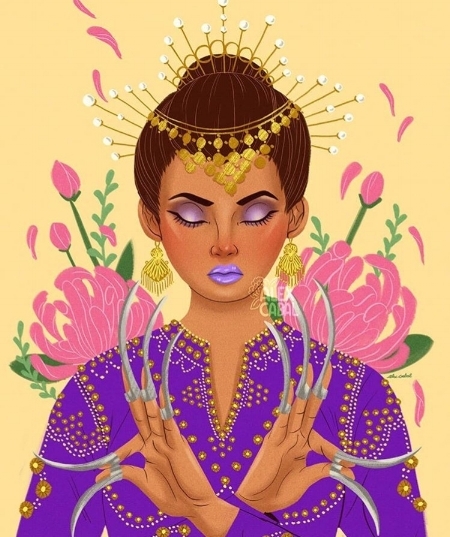 Have you always created brown girl art? I didn’t really start creating brown girls until last year. I was in a dark place a year ago, and felt defeated about many issues going on in my personal life along with how grim society felt at the time. I decided to uplift myself by drawing strong, confident, women but women who look like me. I wanted to make dark skin stand out in my work, so I compliment these portraits with bright colors and eventually incorporated flowers and plants to give it more life. Although it was meant to be therapeutic for me, it was amazing to see that others saw themselves in my work. I do tons of research first, which means collect any reference, and write ideas down. Then I do everything else on Photoshop, which is sketch, color block, then add details. How does your community (Fil Am, artists, illustrators) uplift you? I am very lucky to have so many people support what I do, whether it be friends from high school, or other artists I’ve met from college or work. My boyfriend has also been there for me through the ups and downs, and continues to help me find confidence in myself when I get anxious about my work. My biggest driving force is learning and discovering new things. I always strive to improve my work or find new ways to make my work interesting. Do you have any upcoming projects or events that you are excited about? I will be exhibiting at Designer Con for the first time this year, so I am very excited about that. I am working also working on a personal little art book that will have a collection of some of my favorite pieces I’ve done throughout the year. All images and photo courtesy of Alex Cabal.